The temple is an ancient one but not much is known about its antiquity. Some time back it was reported in the print media that it was recently uncovered. I visited the place last month and found that a parapet and fence was built around it but the level of water has remained the same and water was oozing out from an underground spring. I took a plunge inside the water logged temple and felt with my hands about one foot tall Shivling inside the temple. I do not believe that the Manasbal temple was built under water. 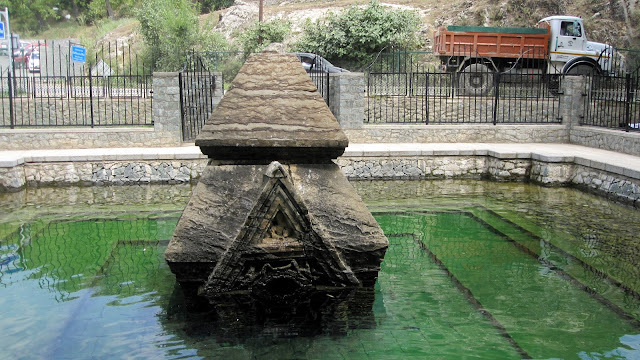 Probably the submergence of the temple was caused by (i) silting of the outlet of the lake near Sumbal, subsequent rising of the level of the lake or by (ii) the sinking of an underground cavern below the temple. "One of the most attractive places in the valley is the Manasbal lake. Being absolutely free from disturbance of any kind, and nestling in an oval basin surrounded on all sides by hills and uplands, the lake is an ideal abode for the happy lotus-eater, who dreams away his days reclining under the shady chinar, and passes his evenings in watching the long streaks of moonlight flitting across the mirror-like surface of the water. 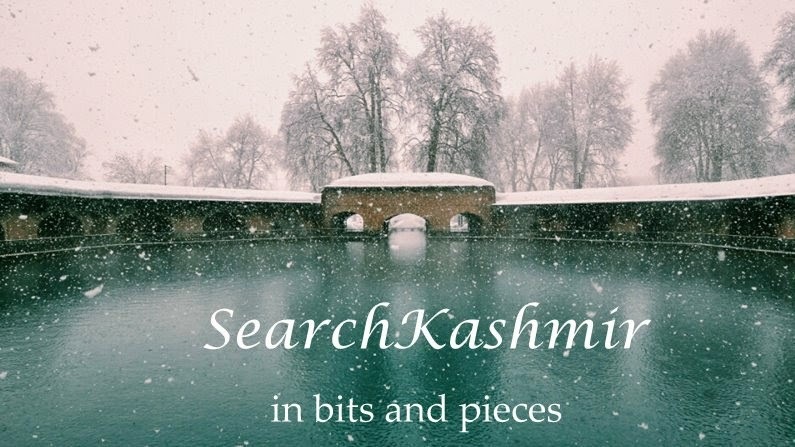 Naturally, such a delightful spot would not have been overlooked either by the devout Hindu or the nature- adoring Mughal. The former have left a small temple, now partially submerged during the greater part of the year. It is a very small structure, and only its two pyramidal roofs are visible in the driest seasons. The cornice of the lower roof, and the horizontal band which divides it from the upper storey, are decorated with series of dentils and metopes. Only the upper part of the pediment of the entrance is visible. It faces west. 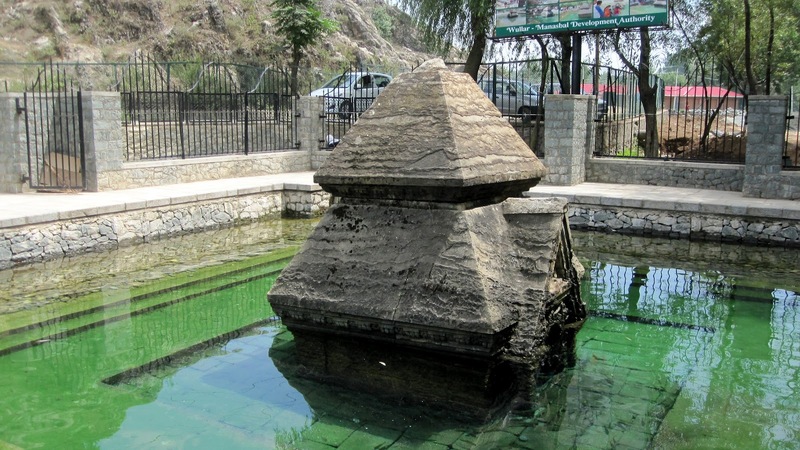 At the south-east cornner of the lake of Manasbal is a miniature temple built of stone, standing in the water. The temple appears to be a square of about six feet and has only one doorway to the west covered by a pyramidal pediment, which is divided into two portions by a horizontal return of the said mouldings as in the case of the Martanda colonnade. The upper portian is occupied by the head and shoulder of a figure holding a sort of staff in the left hand. The angles of the lower portion of the doorway pediment, below the horizontal moulding and above the trefoil, are occupied each with a naked figure leaning against the head of the trfoil, and holding up over the arch a sort of waving scarf which is passed on through the other hand. 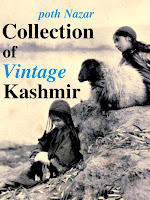 Vinayak-g I’ve found ➜ the mention of Manasbal Temple in the book ‘The Jummoo and Kashmir Territories: A Geographical Account’ (1875) by Frederic Drew in Chapter - X, Page – 208. The paragraph reads as follows; “There is no good evidence that any depth of lacustrine deposit has been formed round buildings or other works of man, although certain changes as to level of water may have taken place in his time. Thus at Manas Bal there is a temple partly submerged beneath the water of that lake. 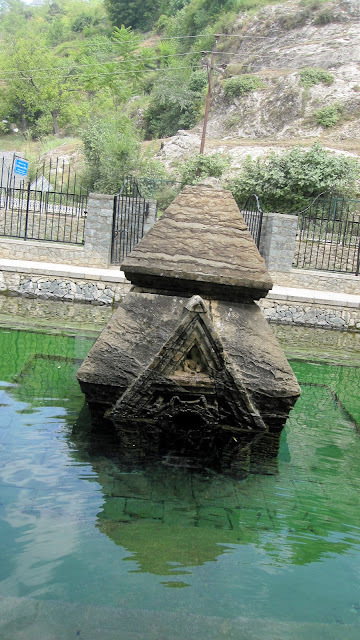 I am not clear about the cause of this submergence, nor, indeed, as to the origin of the lake itself, which, though seemingly resting on alluvium only, has a depth of 47 feet, at all events; it may be that the rise of the waters over the base of the temple is due to the supply of water brought by the later-made artificial canals not having been able to drain off to the river, except after a general rise of the lake”. As per Wikipedia the temple was built between 800 - 900 AD during Awantivarman or Sankaravarman’s rule but as per Dr. R.C. 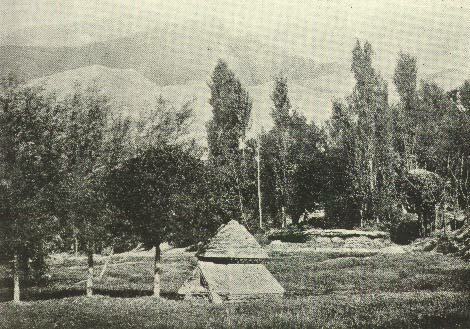 Agarwal (a noted archaeologist) the Manasbal Temple was built by a minister of King Jayasimha. Jayasimha reigned over Kashmir from 1128 to 1155 AD.